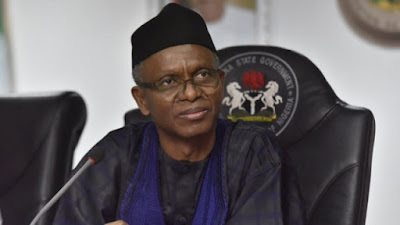 Preparatory to his taking of oath for a second term in office, Kaduna State Governor, Nasir El-Rufai, has directed all political appointees to turn in their resignation letters on or before the 30th of this month. In a statement, his spokesman, Samuel Aruwan, said his principal was at liberty to exercise his constitutional prerogative to decide on re-appointments, even as he added that the Ministry of Finance was being given adequate time to compute severance packages and reconcile liabilities. According to the directive, every notice of resignation must be attached with a handover note signed by the appointee on behalf of the MDA or office he or she had occupied. Besides, all resignation letters should be properly addressed to the Principal Private Secretary. The spokesperson said: “Malam Nasir El-Rufai has thanked all political appointees for their contributions and service to the state during his first term. As he constitutes the team that will assist him in his second term, the governor said he expects the process to be enriched by the handover notes from the political appointees, and the report of the Transition Committee headed by the Deputy Governor-elect, Dr. Hadiza Sabuwa Balarabe. Also exempted are full-time commissioners of statutory bodies. Findings however indicated that in selecting his new team, the governor could reward loyalty, especially those who worked assiduously for his return. But a source maintained that El-Rufai, who does not care whose ox is gored, would base appointments on merit.